Hankamp Rehab BV (HR) is a company founded in 2011 and belongs to the same holding as Hankamp Gears, a production company of high quality mechanical precision parts, existing over 100 years, with over 80 CNC controlled production machines and 50 well educated production staff members. Hankamp Rehab is focusing in Developing / Producing and Marketing of innovative technology for the Rehabilitation Market worldwide. As an example, in 2011 Hankamp Rehab developed the SaeboMAS (Mobile Arm Support) in cooperation with the Twente University and Saebo, from idea to market in 9 months. This product is commercially available, and over 500 units have been installed worldwide within a few years. Hankamp Rehab has trained, in the EU and worldwide, roughly 60 therapists in the use of a variety of rehabilitation products and ortheses. By this network of therapists we also receive user-feedback from many of the hundreds of patients with reduced performance of upper extremity and hand function, thereby increasing our knowledge of patient needs and wishes. Although current passive support systems can aid in therapy or daily life settings, it is believed that active controlled therapeutic training devices, or intuitively actuated support systems can make the real difference in recovery and self-sustainability of these patients. Hankamp Rehab explicitly encourages the eNHANCE initiative, which will develop the required new concepts considering the training and enhancement of upper extremity motor function. With their own sales staff in the Benelux (Enschede, Amersfoort and Brussel) the company has built an extensive network within the Rehabilitation market of the Benelux. Sales staff are either well experienced Neuro Physiotherapist or Neuro Occupational Therapists. Hankamp Rehab has built an extensive sales network worldwide together with their partner Saebo with presence in most parts of the world. Contribution in the design and development of improved mechatronic wrist and hand support. Two copies of the mechatronic wrist and hand support system will be developed and integrated, and provided to the institutes for testing in the relevant phases. 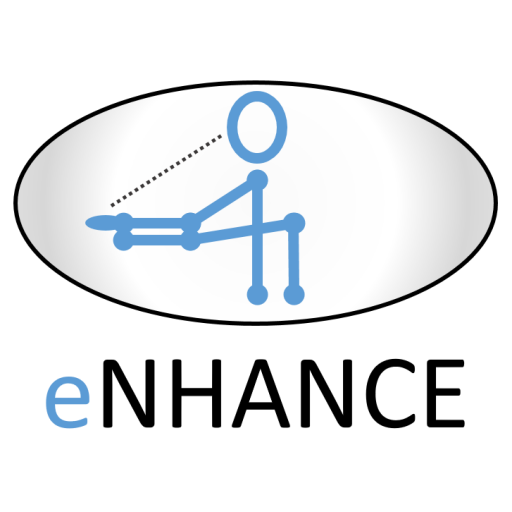 The eNHANCE project will supply Hankamp Rehab with two potential products; an actuated version of the Mobile Arm Support and an active wrist and hand support system; both achievable developments within the project, which fulfill current needs in the rehabilitation market.